According to the Centers for Disease Control and Prevention, one out of every three individuals aged 65 or older will fall at least each year. Unfortunately, this can lead to broken bones, head trauma and other injuries. While a fall can occur anywhere within a home, they commonly occur in bathrooms. This is because it can be hard to get in and out of a bathtub, a floor can be slippery when wet, or their legs give out after sitting on the toilet. It can be nerve wracking to have an elderly parent living on their own. However, there are things that can be done to make the bathroom safer for them. 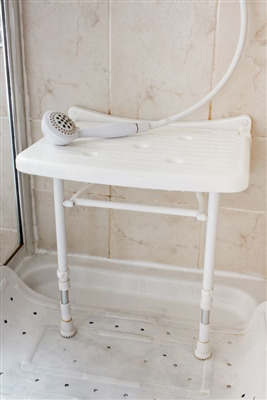 Here are three ways a bathroom can be made safer for your elderly parent or parents who live on their own.